Prof. Dr. Thomas Nann, the Editor-in-Chief of Nanomaterials says, “the vision of Nanomaterials is to publish the best findings on all aspects of nanomaterial science to the broadest possible audience”. The journal publishes reviews, regular research papers, communications, and short notes that are relevant to any field of study that involves nanomaterials. Theoretical and experimental articles are encouraged, along with articles that deal with the synthesis and use of nanomaterials. For more information, also check out our special issues, currently open for submissions (https://www.mdpi.com/journal/nanomaterials/special_issues). Below, we present a selection of recently published papers that highlight the latest research in the field of nanomaterials. The synthesis of 3D lamellar graphene/BaFe12O19 composites was performed by oxidizing graphite and sequentially self‐propagating combustion triggered process. The 3D lamellar graphene structures were formed due to the synergistic effect of the tremendous heat induced gasification as well as huge volume expansion. The 3D lamellar graphene/BaFe12O19 composites bearing 30 wt % graphene present the reflection loss peak at −27.23 dB as well as the frequency bandwidth at 2.28 GHz (< −10 dB). The 3D lamellar graphene structures could consume the incident waves through multiple Reflection and scattering within the layered structures, Prolonging the propagation path of electromagnetic waves in the absorbers. Zinc oxide (ZnO) nanowires have been widely studied for their applications in electronics, optics, and catalysts. Their semiconducting, piezoelectric, fluorescent, and antibacterial properties have also attracted broad interest in their biomedical applications. Thus, it is imperative to evaluate the biosafety of ZnO nanowires and their biological effects. In this study, the cellular level biological effects of ZnO nanowire arrays are specifically tested on three types of excitable cells, including NG108-15 neuronal cell line, HL-1 cardiac muscle cell line, and neonatal rat cardiomyocytes. Vertically aligned and densely packed ZnO nanowire arrays are synthesized using a solution-based method and used as a substrate for cell culture. The metabolism levels of all three types of cells cultured on ZnO nanowire arrays are studied using the 3-(4,5-dimethyl-2-thiazolyl)-2,5-diphenyl-2H-tetrazolium bromide (MTT) assays of a full factorial design. Under the studied settings, the results show statistically significant inhibitory effects of ZnO nanowire arrays on the metabolism of NG108-15 and HL-1 cells in comparison to gold, glass, and polystyrene substrates, and on the metabolism of cardiomyocytes in comparison to gold substrate. Over the course of the past decade, there has been growing interest in the development of different types of membranes composed of carbon nanotubes (CNTs), including buckypapers and composite materials, for an ever-widening range of filtration applications. This article provides an overview of how different types of CNT membranes are prepared and the results obtained from investigations into their suitability for different applications. The latter involve the removal of small particles from air samples, the filtration of aqueous solutions containing organic compounds and/or bacteria, and the separation of individual liquids present in mixtures. A growing number of reports have demonstrated that the incorporation of CNTs into composite membranes confers an improved resistance to fouling caused by biomacromolecules and bacteria. These results are discussed, along with evidence that demonstrates it is possible to further reduce fouling by taking advantage of the inherent conductivity of composite membranes containing CNTs, as well as by using different types of electrochemical stimuli. 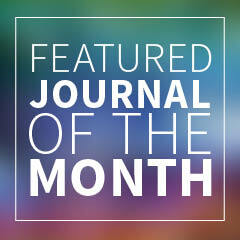 Posted in Feature Highlights, Journal of the Month, New and Notable, Open Access Publishing and tagged nano-alloys, nanomaterials, nanoparticles, nanosciences, nanotubes, nanowires, quantum dots.